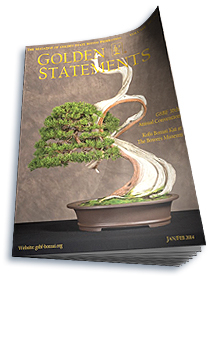 Join the bonsai community and be informed — subscribe to Golden Statements Magazine. Your subscription helps fund the Golden State Bonsai Federation Educational mission. For those living within the US a regular subscription costs only $35 per year. Effective January 1, 2017, Golden Statements Magazine is a quarterly publication.